When Amazon first released the Fire Phone, it knew it was taking a gamble, but given the company’s success with tablets and e-readers, it would be unwise to write them off with smartphones just yet. 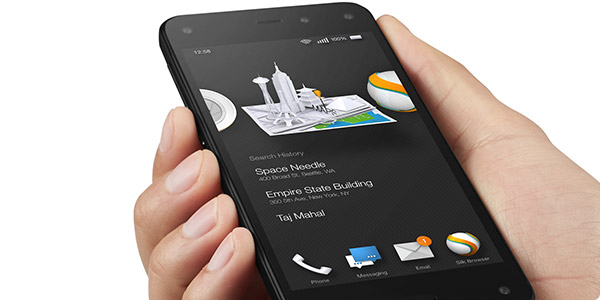 Amazon still actively pushes enhancements to its first generation Fire Phone, and the most recent update brings the Android based Fire OS to version 4.6.1 based on Android 4.4 KitKat. The latest enhanced features include Bluetooth LE support, the ability to change the wallpaper of the home screen, color emojis for the Amazon keyboard, and the ability to print from your phone - All features Android KitKat users have been enjoying for some time now. Fire OS 4.6.1 also offers some business oriented features, most notably support for secure Wi-Fi networks and AES-256 bit hardware encryption. Amazon cites "dozens" of "other bug fixes and user interface improvements." The Fire Phone was released last year, featuring a 4.7 inch 720p HD touch display, up to 64GB of internal storage, a 13MP rear camera, a 2.1MP front camera and a 2.2GHz quad-core Snapdragon 800 processor with 2GB of RAM. While Amazon will likely deliver a more impressive successor this year, the original is now being sold at a "fire sale" price of only $189 for the 32GB SIM-unlocked model. This includes a year of Amazon Prime, which itself is worth $99.